One of the things that I think gets glossed over too much is the importance of writing when it comes to making art. This holds true no.. The opening of Generation NEXT went really well. MIAD wanted to do a small lecture series in conjunction with the show, so on Tuesday ..
On Friday night I was in Milwaukee for the opening of my current show Generation NEXT. I was approached about being in the show in Aug.. 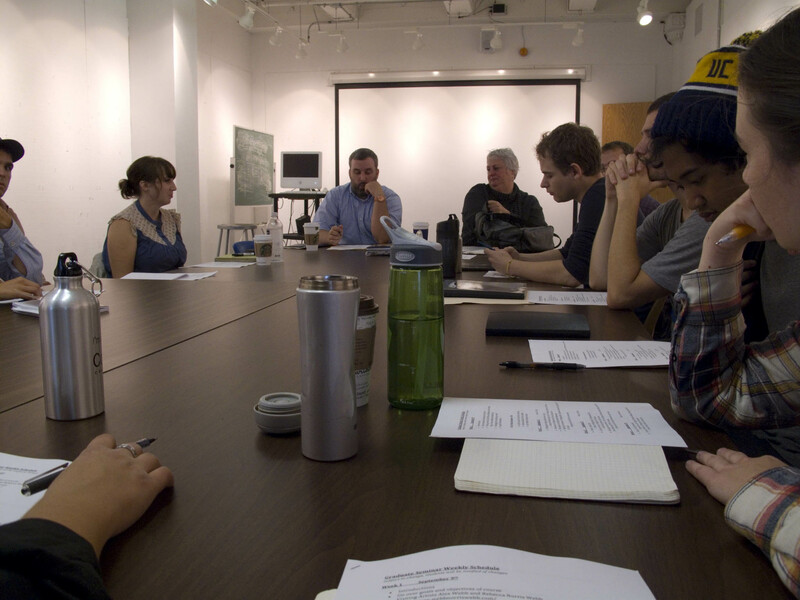 This week the Columbia College Chicago’s Photography Department was happy to have Mr. John Gossage visit. He was here as part of the v..
Well, last week was quite an exciting week for me. A while back, I was asked to come and give a lecture about my more recent work at B..
A while back, I was asked to be part of an issue of SLANG Magazine, which is an online fashion magazine. While I have done some fashion in..
Last month we were lucky enough to have Roger Ballen, the world renowned photographer from South Africa, visit us. He gave a lecture o..
Media and Moving Art. Rotterdam, The Ne..
Well, today was my first official day at Columbia College Chicago as a student, althoug..
Friday was new student convocation. We were encouraged to attend during orientation, and I am happy that I di..